I had to make a post just for the children so you can read and not grow tired. Now on to my kids; this year in Kenya we spoke with each child who attended high school. It was harder for most than what they expected but each one worked hard and they are thankful for those who believe in them enough to pay the school fees. Sam wrote he was nervous at first but finally got the courage to ask for help and scored his highest scores. I knew it was in you Sam. I believe in you! Joyce started out in a new area of Kenya, knowing no one but made lots of friends, scored very well and endured the colder weather. God has great things for you Joyce. Anne, James younger sister has struggled, she is smart but things don’t come easily. She said, “I won’t let you down. I will work hard.” We surround you with our love Anne. You will succeed. Benta is personality plus. She wants to work in international relations. I have no doubt she will make a great mediator. She had a setback in boarding school and returned to Father’s House High School to finish her school year. The boarding school was not a constructive environment. We want them in an environment of learning and peace. You have too much to give to the world Benta to settle for second best. Tom did well, made it through and is so thankful. Tom is bold and he will go far because he has hope. He has dreams. Press on Thomas you can do it! Beatrice, my bright and brilliant star began slow and finished at the top of her class. How great is that? She is Tom’s twin sister, my inspiration. You look at challenges and laugh. Nothing is too big for you! Caroline, she is hiding behind the scenes watching observing, laughing unsure of strangers; these funny people who come each year. Her letters reveal her heart. She says; “I am happy because you want to see us excel and succeed in life. You are part of our family in a faraway country. Thank you for being consumed with my life.” I am consumed with your life dear Caroline, be strong and courageous. This year, Esther and Akinyi have taken the 8th grade exam and are awaiting the results to see if they passed, and if so what high school will accept them. Esther is brilliant and may be accepted by a National High School which is the highest ranking in Kenya. 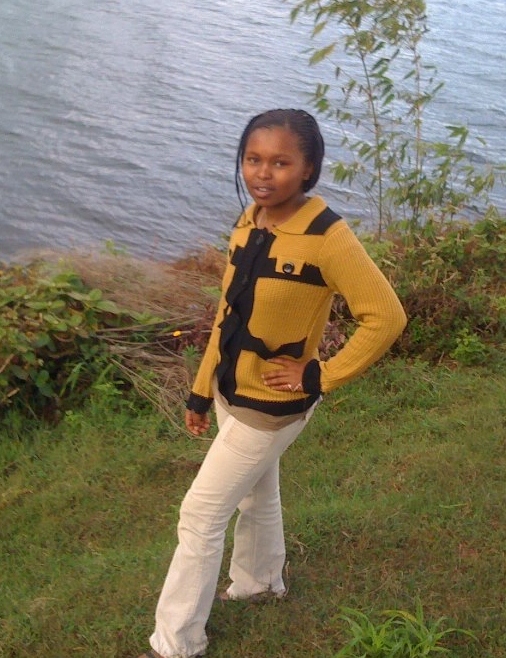 Akinyi Is full of faith, determined to move forward with her education and be all she can be. Her struggles are far more than most would endure. She has a learning disability that Kenyan teachers are not equipped to handle. But that doesn’t deter Akinyi. She will succeed, she will move forward and she will graduate. That is what she told me and I believe in you Akinyi! Then there is this note, her words echo some of my own feelings. “It has been another year that you have put all your efforts into not only making our Christmas great but also watering the seeds of love you have planted into each and every one of us. at times I just sit and meditate on How awesome God is for bringing both of you and your entire family into our lives. You make me feel loved and appreciated, wanted and accepted. You gave me and many more hope for tomorrow. Thank you for being there for me and us. Deep inside I will always be grateful to God for you” I, dear girl am grateful to God for you!